You have to understand my obsession with pink: my bedroom walls are pink; my bed set is pink. I even have a pink chair, so imagine my face as I open this beautiful nail mail from Northern Star Polish and it's bright pink! 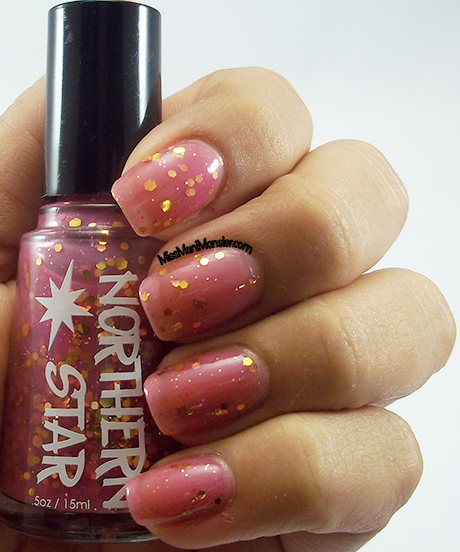 Northern Star Polish is 4-free, cruelty-free, and always made with the very best ingredients! The first swatch is of Ruby, a translucent pink jelly with white flakes and scattered holo glitter. I did three thin coats and some topcoat. Fast-drying, builds easily, and nice and smooth! Next is a special, surprise treat I received! This Nourishing Cuticle Oil comes in a 3.5 mL container with a small, wand applicator for easy application. This oil is made of a mixture of luxurious oils, and comes in over 20 different scents!! 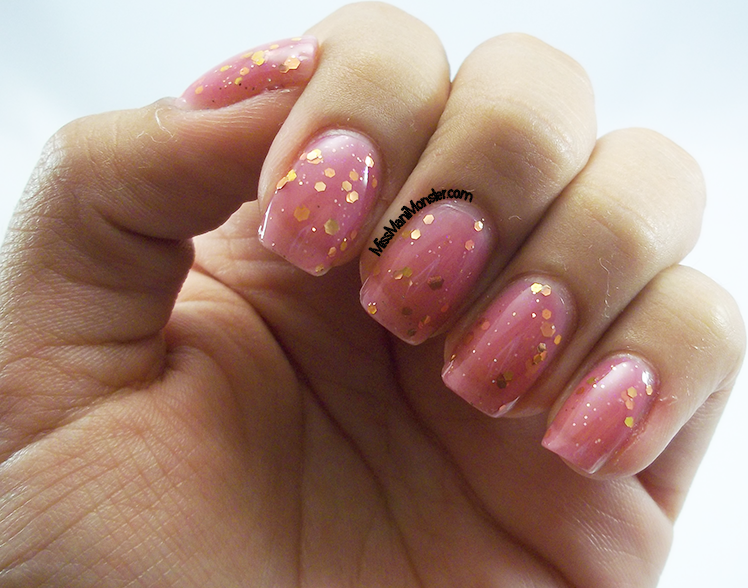 Finally is my swatch of Tranquility, a pink jelly with gold hexes and flakes. I layered 3 coats, and they applied just as easily and beautifully as Ruby did! All of these products and many others can be purchased on Etsy! Check out Northern Star Polish on Facebook for news and updates! These colors are so pretty I am obsessed with pink as well it is my most favorite color in the whole world (: Great post!